Healthy Weight Loss Per Week: How Many Pounds are Safe to Lose? 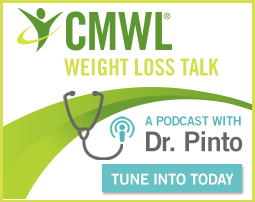 You’ve likely heard the advice that a healthy weight loss per week is two pounds or less. Is this still true today? The answer is both yes and no. The truth is it’s not so much about a magical number of pounds that equal a healthy weight loss per week as it is about where that weight loss is coming from. In short, most diet plans that promise to peel off weight quickly are based upon unsound nutritional advice that may initially lead to quick weight loss, but in fact will trigger a reaction in the body called the starvation response that taps into muscle instead of fat to make up for the fewer calories coming in. This slows the metabolism and makes losing weight and keeping it off harder and harder with each attempt. This is why so many people struggle with a yo-yo dieting effect, successfully losing weight only to regain it shortly after the so-called “diet” ends – and then some. So whether a person drops one pound, two pounds, or six pounds a week, there is no such thing as a healthy weight loss per week using these methods. In contrast, a healthy weight loss per week will reduce the body’s stored fat reserves without triggering the starvation response. Such an approach will result in a steady, safe, and long-term reduction of body fat without depleting muscle. While that may sound simple, it’s really anything but. It’s tricky to avoid the ancient programming designed to help the body cope with the calorie swings of a feast and famine lifestyle not so uncommon just a few hundred years ago. Just like it is nearly unheard of to see an obese animal in the wild, such was the case with people at one point. In fact, being able to put on weight and store fat quickly was for millennia a genetic edge, not the seeming curse it can be today in a world with no shortage of high-calorie, high-fat food and very little need or opportunity to expend the physical activity that was once required just to survive from one meal to the next. So as you can probably see, it’s not just a question of, “What is a healthy weight loss per week?” but how can one lose weight without triggering this primitive but once critical response to a cut in calories? That’s why at The Center for Medical Weight Loss we focus not just on weight loss, but where the weight loss is coming from with regular body composition monitoring. As long as you’re losing fat and not muscle or water weight, there really is no need to focus on healthy weight loss per week. So if you are tired of losing the same weight over and over again – or perhaps need to lose excess weight for the first time and don’t want to get on the “weight loss and gain roller coaster” to begin with – come talk to us about how we can help you achieve a healthy weight loss per week. Does ‘Relationship Weight’ Actually Exist? This website is intended to provide information about weight loss and health. It is not intended to reduce the treatment provided by your physician. Always consult a physician before making a decision about your health.